Because we have entered the era of data and have almost unlimited computing power at our fingertips, algorithms are in their element. They can help filter all that data and become neural networks to help us make complex decisions. This may cause the black-box effect. People still find it difficult to fully trust software, much less algorithms. Will algorithms determine everything in the near future (as in the Matrix) or will they become our best friends in the new, increasingly complex, world order? Algorithms may hold the key to more accurate predictions. Algorithms can handle multiple data sources (internal and external), using different parameters and models to predict the best outcomes for replenishment and never get tired doing so. As an example, AI is becoming a best pall of Albert Heijn. The Netherlands’ largest supermarket chain uses AI models to more accurately predict the replenishment needs of their stores. The process of making stock management and replenishment decisions can be enhanced by using big data, AI, and machine learning. These technologies make it able to build algorithms that provide improved visibility and accuracy. As a result, less out of stock is created, and there is less waste as the excesses of “too much” or “too little” are reduced. The idea of personalization remains key to future, sustainable success. 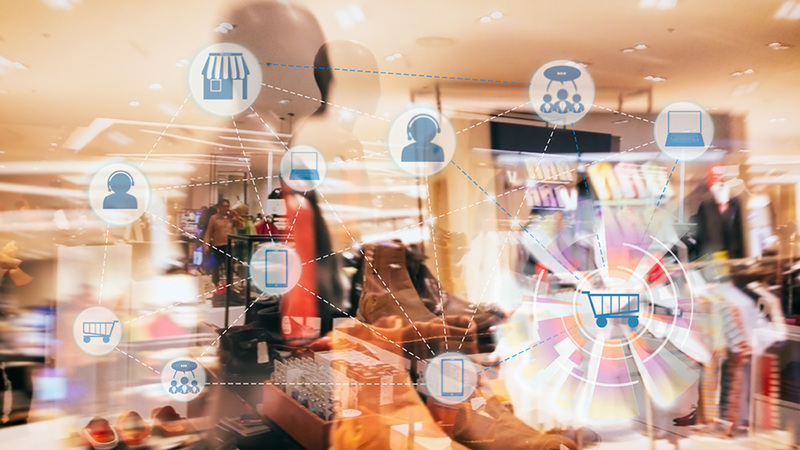 Today, online retailers are better able to offer personalized products and offers using data analytics and artificial intelligence. Algorithms are a very suitable way to create a rich, hyper-personalized shopping experience. Physical retailers that also have an online presence and can integrate their data from all sources have a head start. It is not an easy way, as you constantly need to pivot and tweak to get the AI to work for you and meet your targeted customers’ needs. But when done properly with a healthy dose of persistence, success will be yours. This leads to better engagement, retention, and long-term loyalty. Feel free to reach out to us for more information or to arrange a workshop on AI working for you in relation to engagement, retention, less out of stock, and less waste.